FlightGear is an open-source project. This means as long as you abide by the terms of the GPL license you may freely download and copy FlightGear. Anyway can have easy and open access to the latest development source code. Being an open-source project, we have made our file formats open and easily accessible. We support standard 3d model formats and much of the simulator configuration is controlled through xml based ascii files. Writing 3rd party extensions for FlightGear (or even directly modifying the FlightGear source code) is straightforward and doesn’t require a large amount of reverse engineering. 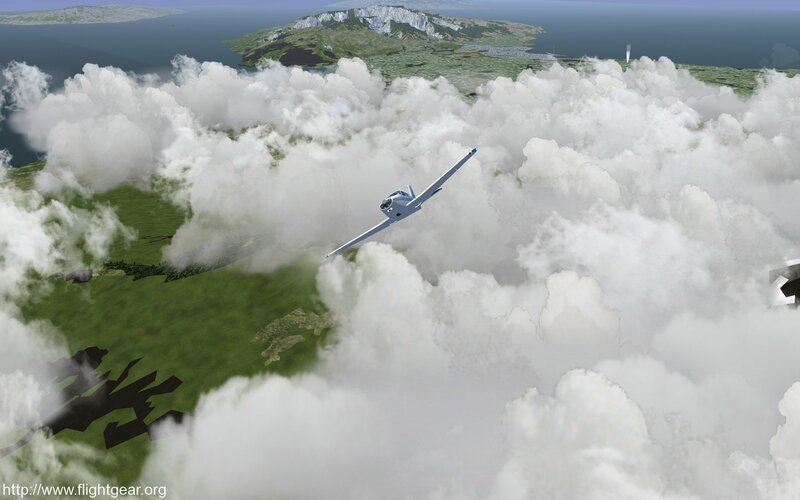 This makes FlightGear an attractive option for use in private, commercial, research, or hobby projects. FlightGear is known to run on Windows, Linux, Mac OS-X, FreeBSD, Solaris, and IRIX platforms allowing the user run on their platform of preference. JSBSim: JSBSim is a generic, 6DoF flight dynamics model for simulating the motion of flight vehicles. It is written in C++. JSBSim can be run in a standalone mode for batch runs, or it can be the driver for a larger simulation program that includes a visuals subsystem (such as FlightGear.) In both cases, aircraft are modeled in an XML configuration file, where the mass properties, aerodynamic and flight control properties are all defined. YASim: This FDM is an integrated part of FlightGear and uses a different approach than JSBSim by simulating the effect of the airflow on the different parts of an aircraft. The advantage of this approach is that it is possible to perform the simulation based on geometry and mass information combined with more commonly available performance numbers for an aircraft. This allows for quickly constructing a plausibly behaving aircraft that matches published performance numbers without requiring all the traditional aerodynamic test data. UIUC: This FDM is based on LaRCsim originally written by the NASA. UIUC extends the code by allowing aircraft configuration files instead and by adding code for simulation of aircraft under icing conditions.UIUC (like JSBSim) uses lookup tables to retrieve the component aerodynamic force and moment coefficients for an aircraft… and then uses these coefficients to calculate the sum of the forces and moments acting on the aircraft. Over 20,000 real world airports included in the full scenery set. World scenery fits on 3 DVD’s. (I’m not sure that’s a feature or a problem!) But it means we have pretty detailed coverage of the entire world. Scenery tiles are paged (loaded/unloaded) in a separate thread to minimize the frame rate hit when you need to load new areas. FlightGear implements extremely accurate time of day modeling with correctly placed sun, moon, stars, and planets for the specified time and date. FlightGear can track the current computer clock time in order to correctly place the sun, moon, stars, etc. in their current and proper place relative to the earth. If it’s dawn in Sydney right now, it’s dawn in the sim right now when you locate yourself in virtual Sydney. The sun, moon, stars, and planets all follow their correct courses through the sky. This modeling also correctly takes into account seasonal effects so you have 24 hour days north of the arctic circle in the summer, etc. We also illuminate the correctly placed moon with the correctly placed sun to get the correct phase of the moon for the current time/date, just like in real life. 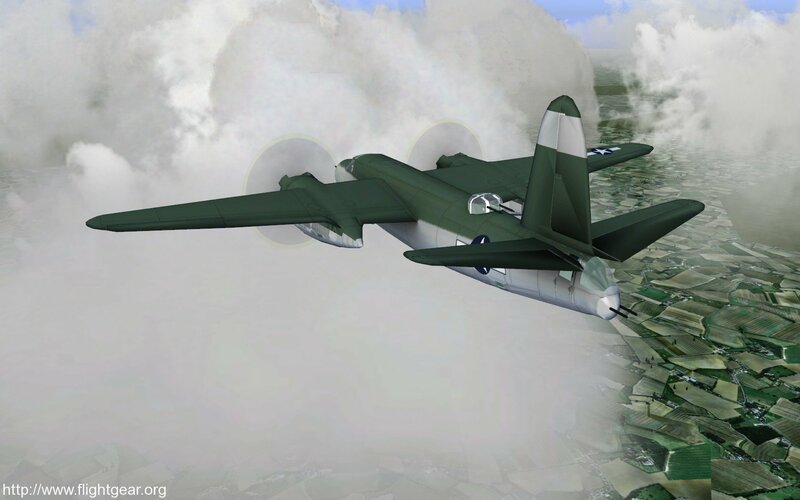 FlightGear has the ability to model a wide variety of aircraft. 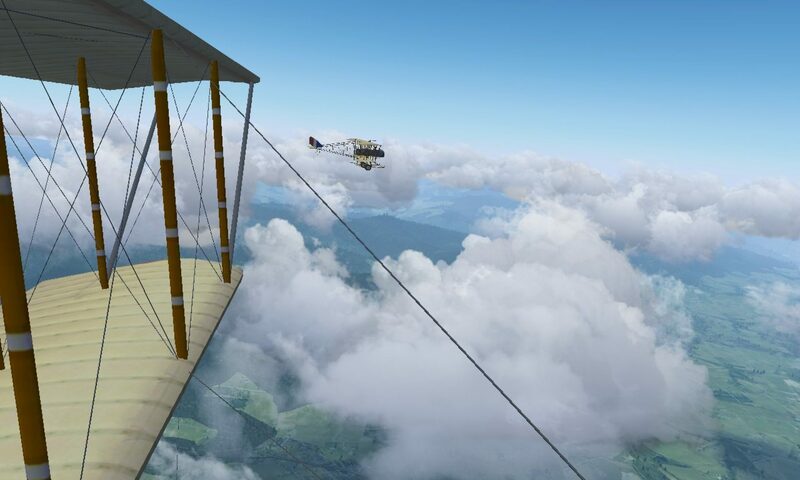 Currently you can fly the 1903 Wright Flyer, strange flapping wing “ornithopters”, a 747 and A320, various military jets, and several light singles. FlightGear has the ability to model those aircraft and just about everything in between. FlightGear realistically models real world instrument behavior. Instruments that lag in real life, lag correctly in FlightGear, gyro drift is modeled correctly, the magnetic compass is subject to aircraft body forces — all those things that make real world flying a challenge. 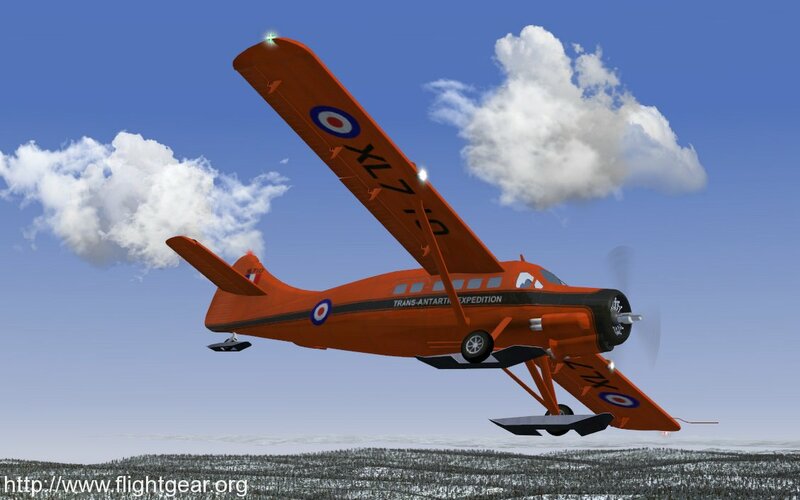 The intention of FlightGear is to look nice, but not at the expense of other aspects of a realistic simulator. Our focus is not on competing in the “game” market and not on the ultra-flashy graphic tricks. The result is a simulator with moderate hardware requirements to run at smooth frame rates. You can be reasonably happy on a $500-1000 (USD) machine (possibly even less if you are careful) and don’t necessarily need $3000 (USD) worth of new hardware like you do with the many of the newest games. FlightGear allows users and aircraft designers access to a very large number of internal state variables via numerous internal and external access mechanisms. These state variables are organized into a convenient hierarchal “property” tree. Using the properties tree it is possible to monitor just about any internal state variable in FlightGear. It’s possible to remotely control FlightGear from an external script. You can create model animations, sound effects, instrument animations and network protocols for about any situation imaginable just by editing a small number of human readable configuration files. This is a powerful system that makes FlightGear immensely flexible, configurable, and adaptable. A number of networking options allow FlightGear to communicate with other instances of FlightGear, GPS receivers, external flight dynamics modules, external autopilot or control modules, as well as other software such as the Open Glass Cockpit project and the Atlas mapping utility. FlightGear has built in support for driving multiple displays from a single instance of the application. In addition FlightGear has a native networking protocol that can be used to drive multiple displays on multiple PC’s from a single master computer. There are other multiple display options such as the Matrox Triple Head 2 Go box that are supported as well. In the case of the MTH2G, FlightGear can create 3 cameras on a single window and adjust to view parameters for each camera to account for the real world separation between your displays.